The Marianne av Göteborg has already been waiting for her companion vessels for a week. Some think the delay is due to organizational issues, but that’s far from the truth. No private boat receives the same checks as this one. While the Marianne languishes in neutral waters, the other crews are working to get the necessary permits to leave their ports. I witnessed one of these pre-departure checks in Messina. Six men in civilian clothes and one in uniform spent the whole day checking the Marianne. They examined every square inch, made calls and objected to being photographed. After a while, they were joined by three port policemen and a group of divers, who scrutinized the boat’s hull. The Marianne was not allowed to depart until the captain provided the authorities with a list of passengers and their passport details. They requested the list once again later. Once everything was completed and the Marianne was being re-fuelled, the flotilla participants were ordered to clear the port area and the authorities blocked access to the docks. But where there is a will there is a way, and the activists together with the reporters managed to climb on board and set off. In 2011, Israel claimed the flotilla was carrying chemical weapons. We have yet to see what they will come up with this time. This is precisely why the Marianne is not entering any other ports and is waiting in neutral waters for the other boats. In 2010 and 2011, Israel provided the Greek police with riot gear and ammunition in exchange for their cooperation in preventing the vessels from leaving the ports. Influencing debt-ridden Greece proved to be easy – especially through the banks and loans. But it’s worth remembering that Greek Prime Minister Tsipras was among the activists planning to take part in the 2011 flotilla. Nevertheless, the Greek government has banned all the Gaza-bound ships from leaving the Greek port. Now the Greeks have their own survival on the agenda, and the demonstrations taking place in Athens are no longer in support of Palestine or the flotilla, but against the euro. It has been claimed that one of the flotilla boats has been sabotaged. 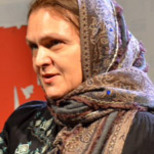 There are known cases where public figures intending to participate in the flotilla have been approached in an attempt to bribe them or scare them away from the project. Such individuals, including professors, performing artists and athletes, are threatened with contract termination or are accused of anti-Semitism. In the case of parliamentarians, members of the Knesset are being hounded and are told their mandates could be recalled and they could face prosecution. Some participants are being pressured by their relatives, who have been approached and convinced to try and talk the participants out of sailing. It is therefore clear why such details as port and boat names, personal details of the participants and the start date of the flotilla are kept secret. This is also why the flotilla is taking so much time to get together. 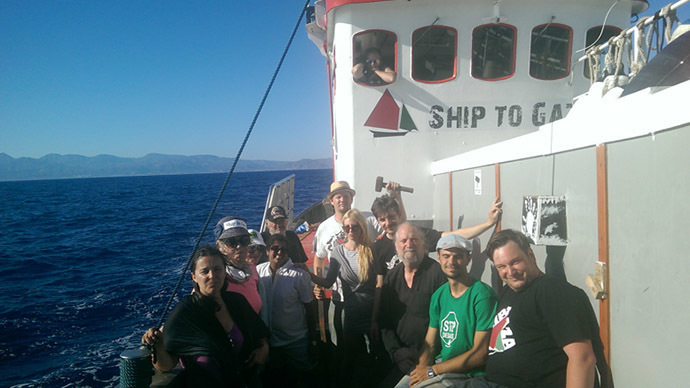 “Whether we succeed in reaching Gaza or not and our boats are taken over, we shall break the wall of silence around the Gaza siege,” says Dror Feiler, a member of the flotilla’s organizing committee and its main spokesperson.